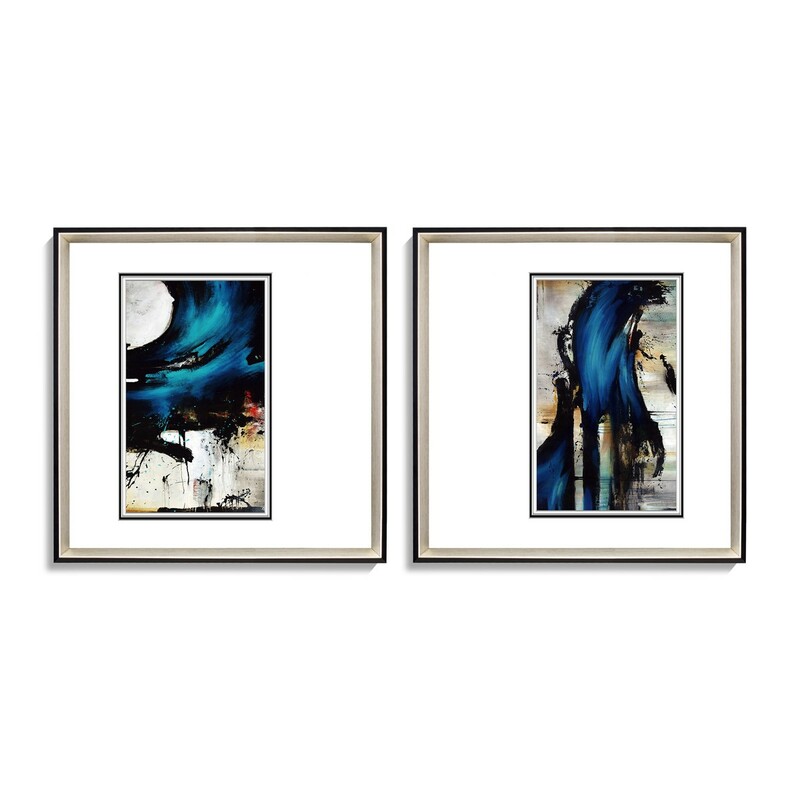 These striking abstract prints come in a pair and are the perfect way to add a strong colour accent to a neutral room. 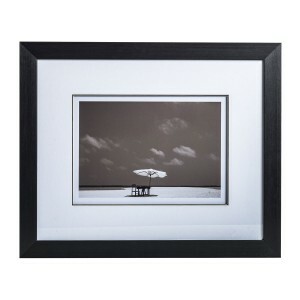 Each square print measures 50cm by 50cm and comes in a smart silver frame with black edging. The vertical prints are mounted off centre, to create a visually arresting effect that is particularly effective in breaking up an expanse of plain wall. The rich, almost iridescent, blue is a foil to earthy colours and would look stunning in a living or dining area painted in rich taupe or steel grey. 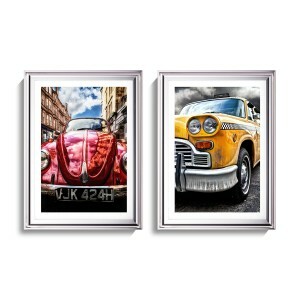 Hand picked by our design team, these matching pictures are part of Retail Furnishing’s extensive collection of stylish contemporary artworks. 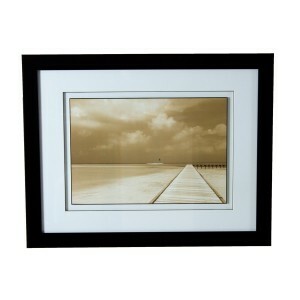 This pair of prints in elegant frames will add a designer touch in any room. A bold colour pop such as a strong blue works with most colours of the spectrum. 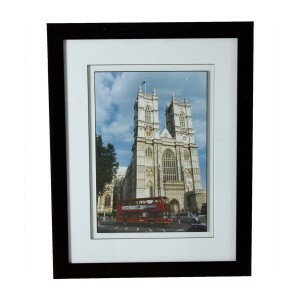 Try introducing similar accents in other small accessories to maximise the effect . Strong contrasts also work brilliantly against blue. Golds, oranges and earthy terracottas look especially effective.